We are a leading Exporter of sand blasting nozzles from New Delhi, India. Sand Blasting Nozzles is a hydraulic device used to control the direction and characteristics of fluid flow. Their design made in a way to adjust inside the pipeline. The work process is based on the velocity and the cross sectional area of the pipe. We offer sand blasting nozzles in wider range. In the manufacture we are including highly genuine raw materials with quality specifications. Beside the quality we are also focusing in time dependent delivery and high quality packing. 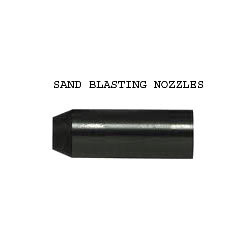 Looking for Sand Blasting Nozzles ?